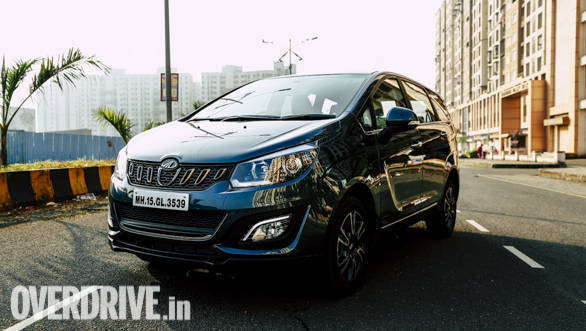 Mahindra & Mahindra Ltd (M&M) announced that effective January 1, 2019, it will increase the price of the Mahindra Marazzo MPV by Rs 30,000 to Rs 40,000. The company states that the prices for the Marazzo announced at its launch in September were introductory and hence would be revised. Veejay Ram Nakra, chief of sales and marketing  automotive division, Mahindra & Mahindra Ltd said, "As mentioned at the launch, the price of Marazzo was an introductory one. Effective January 1st, 2019, we will be taking a price hike on the Marazzo, after a reasonable period of 4 months from its launch." Only last month, Mahindra had announced that it has received over 10,000 bookings for the Marazzo in a month since the launch of the MPV. Pricing for the Marazzo begins from Rs 9.99 lakh ex-showroom (pan-India) for the base M2 variant and goes up to Rs 13.90 lakh ex-showroom for the top of the line M8 variant. The car sits on an all-new ladder-frame chassis which allows the engine to be placed transversely, a unique feature. The engine and gearbox combination is new as well. The 1.5-litre four cylinder diesel engine offers 122PS and 300Nm of torque, and is mated to a 5-speed gearbox. ARAI certified fuel efficiency for the Marazzo stands at 17.6kmpl. An Eco mode is also available for the engine which drops power to 100PS. The Marazzo gets a host of thoughtful features that have possibly contributed to its popularity. The roof-mounted air-conditioner, a 7.25-inch infotainment system with Android Auto/Apple CarPlay and rear sun shades are some unique features. The styling too is attractive and quite mature. 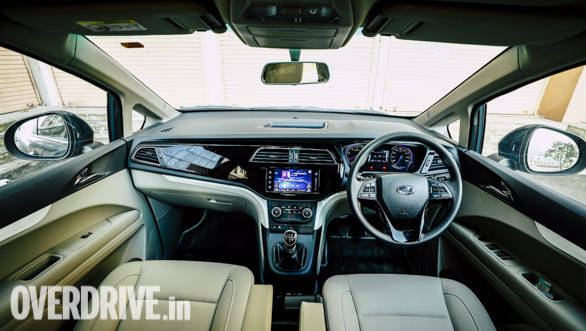 It competes with the Maruti Suzuki Ertiga and Renault Lodgy in India.